Welcome to Willow Natural Therapy Clinic. We are based on the outskirts of Melbourne Derby Derbyshire and in Ripley Derbyshire where we offer a broad range of holistic and natural therapies and personal development coaching to our clients. To hear what our clients say about us you can watch our testimonial video, or read what they say, then browse through the treatments and programs we provide, shown below or in the left hand menu. 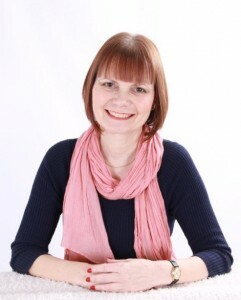 You can see that we offer Allergy Testing, Clinical Hypnotherapy, Gastric Band Hypnotherapy, Hypnotherapy for Weight Loss, Emotional Freedom Technique (EFT), Cognitive Behavioural Therapy (CBT), Kinesiology, NLP and Personal, Presentations, Relationships and Lifestyle Coaching amongst other natural therapies. Allergy testing, Post Traumatic Stress Disorder (PTSD), Obsessive Compulsive Disorder (OCD), eating disorders, phobias, stress management and anxiety related problems, exam pressures and stress, anger management, coping with change, improving relationships, coping with bereavement, addictions and unwanted habits, fertility,child birth related issues, improving general health, weight loss, advanced presentation skills, career promotion, relaxation, self-esteem, confidence and motivation, a chance to change, moving forward in life, achieving their goals, but mostly because they need something in their lives to change now. Workshops and professional training courses are available for the general public, clients, conventional and natural health practitioners, psychotherapists, hypnotherapists, social workers, NHS Primary Care Trusts and companies in the UK and abroad. We are also pleased to offer accredited supervision for students and qualified practitioners. We can also offer consultations, coaching and integrated therapies via Skype and at clinics in London. Melbourne, Derbyshire is just six miles south of Derby city centre. We are within easy reach of the East Midlands, Nottingham, Hilton, Castle Donington, Burton-upon-Trent, Sheffield, Peterborough, Cambridge, Loughborough, Leicester, Harley Street London, Birmingham, and the West Midlands. By road: Junction 24 M1, Junction 13 A42, and Junction 3 A50. By air: East Midlands Airport (10 mins) or Birmingham International. By train: Derby or East Midlands Parkway. By road: Junction J M1, J A38 and J A61. By air: East Midlands Airport.